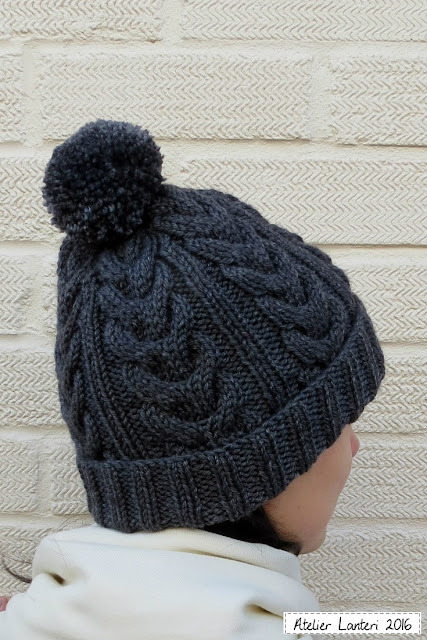 Atelier Lanteri: Cable Hat for me! I did a provisional cast on to start with the cables then knitted the ribbing to fit. A compulsory pompom and I'm ready to brave the cold. Ok, that's not true... I'm never ready to brave the cold!